I have finally got my entry for Lesley's challenge over on Craftswap Forum. I usually buy a TSV on impulse and it sits in my craft room collecting dust. As it's half term and I have some time on my hands, I was determined to use as much of the recent Daisy and Dandelion kit as I could. Her are some of the results. Over at My Time To Craft, they are looking for new DT members. The challenge this week is Quck and cute and here is my entry. A friend asked if I could make a couple of cards for her children to give to their Daddy for his Birthday. 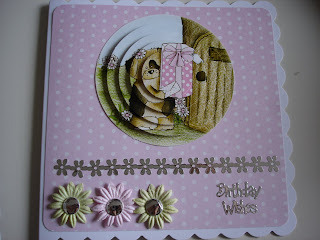 Once again I have used the Daisy & Dandelion TSV and also a Forever Friends stamp. 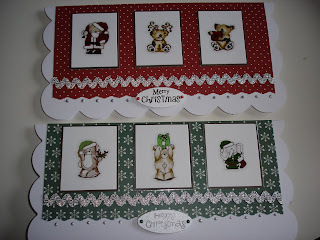 Here are some of the cards I have made using the recent QVC TSV. I love these products. 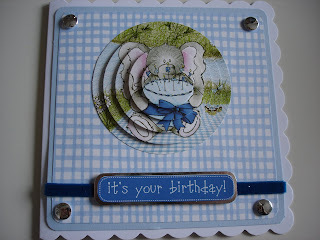 A card made for my friend's son, using one of the fabulous stamps from the Daisy and Dandelion range. A friend of mine has recently become engaged, here is the card I have mae for her using existing stash. 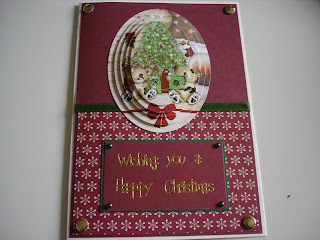 More Christmas cards from me today. 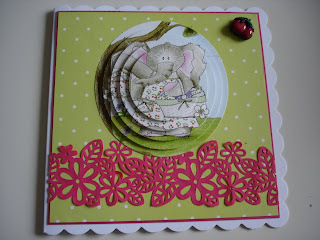 Made using one of the fab kits from Craftwork cards.